Great! Fantastic! That’s amazing! Imagine all the animals saved! Those were the responses I’ve heard as I spread the word that LA banned the sale of dogs, cats and rabbits in retail outlets today (ref: Los Angeles Times). You don’t have to wait for election day to make progress, and that’s what they did in LA. Now, only animals for adoption can be provided through retail outlets. This is a move to start solving the pet homelessness problem at the source! LA is a huge market for pets stores who frequently sell dogs that are trending as popular, such as Chihuahuas after the release of Legally Blonde. There are so many animals homeless in LA that rescue groups all over the country actually export dogs out of LA to find them homes elsewhere. Congratulations to Councilman Paul Koretz, Los Angeles Department of Animal Services and all the animal advocates and organizations who pressed for this ban. 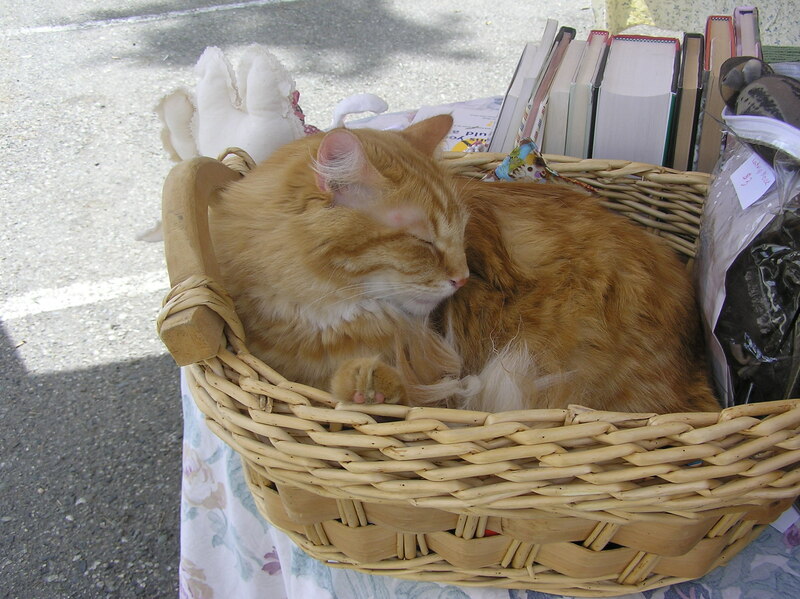 … Kathy Powelson and the Paws for Hope Animal Foundation (ref: Royal City Record). It’s amazing what can happen when we let our elected leaders know exactly what our communities need (especially when it doesn’t cost the city to make these changes). With courage and tenacity, Powelson and her fellow advocates are speaking up for what many people believe is a good step to help end the euthanasia of 3-4 million cats and dogs that end up in North American animal shelters every year (ref: HSUS, American Humane Association). So thank you Kathy for not only suggesting it, but advocating for significant change to help animals. Check out Paws for Hope Animal Foundation at pawsforhope.org. Did you know that bunny rabbits, the kind we keep as pets, are a separate species from wild rabbits? The domesticated rabbit, oryctolagus cuniculus, is an animal descended from European cousins. This fact may seem like trivia, but it is an important point in the world of animal welfare because domestic animals are those that require human care to survive and thrive. As Easter approaches, bunny rescue workers shudder. While baby bunnies are available for purchase at pet stores all year, the urge to “get a bunny for the kids” at Easter suddenly seems stronger. As a child, I had an Easter bunny as well, and his story scarred my soul. The baby bunny came into our lives as an inexpensive pet for a low-income family. 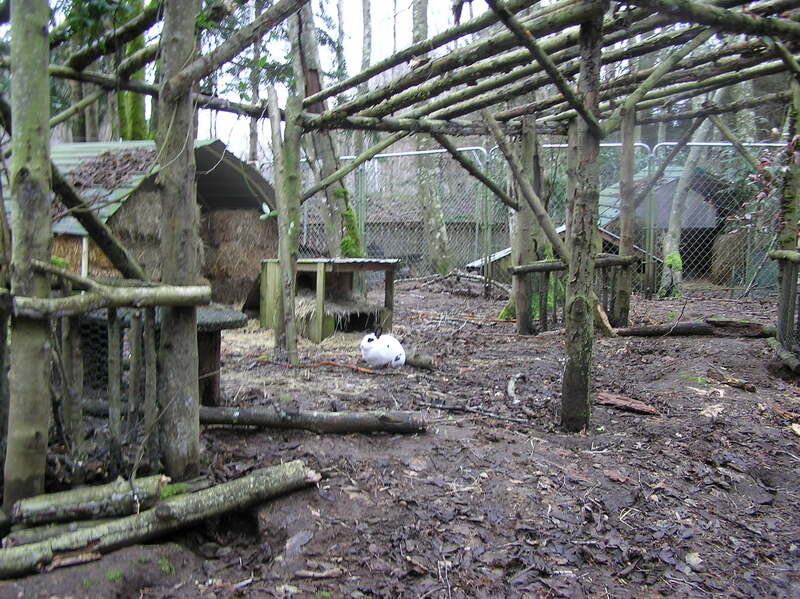 The poor rabbit, like so many Easter bunnies, suffered terribly from the elements, being locked in an outdoor cage most of his life, sometimes with no food or water and scared to death by our dogs. He spent only a matter of days out of his cage for years before we got him a pen. He was finally killed by a neighbor’s dog. It’s a decade of tragedy that I wished I could have changed as a child, and I still wish that today. Brennan said this is the fate of many Easter bunnies when people or families don’t realize that bunnies need warmth, companionship, love and care for eight to 10 years. They are as big of a commitment as a dog or cat. “Children can be just as happy with a chocolate or wind-up toy bunny at Easter, and no one suffers,” Brennan said. 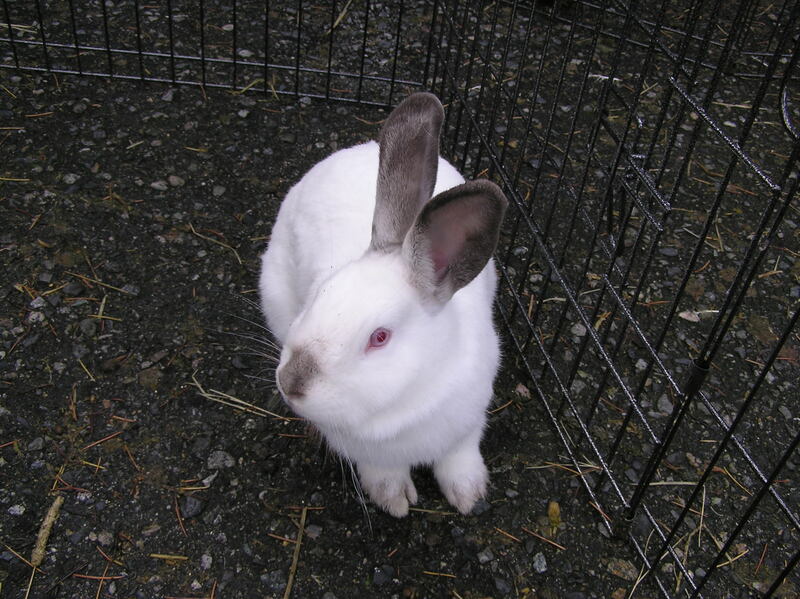 The Seattle Animal Shelter (SAS) reports a significant spike in rabbit surrenders about one month after Easter, usually doubling their intake of rabbits to about 15 per month. “People don’t realize that rabbits are considered an exotic pet, and may require more expensive veterinary care than people can afford. As a result, some rabbits that we get in can be in bad shape when they arrive at our shelter,” reported Seattle Animal Shelter (SAS) spokesperson Kara Main-Hester. Main-Hester said this is the reason that SAS provides high-quality veterinary care and special “rehab” time in foster homes for bunnies that need some extra TLC upon arrival. There are currently 19 bunnies awaiting adoption at SAS. All rabbits are spayed or neutered. Rabbit Haven also finds perfect homes for each of its 50 or so adoptable bunnies. 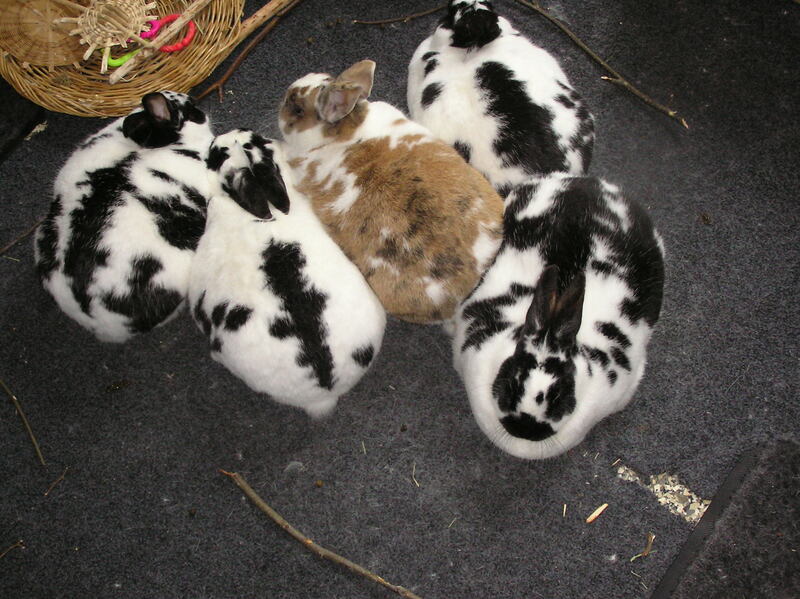 Many Rabbit Haven “buns” come from animal-rescue and shelter groups who found the animals as strays or in hording situations. An unintended consequence of pet-rabbit abandonment is the rise of feral-rabbit colonies in many parks and campuses along the Pacific coast. A section of Rabbit Haven has been made into a permanent home for some 80 feral rabbits rescued from the University of Victoria campus in British Columbia when the school administration was threatening a campus-wide cull on the abandoned pets. 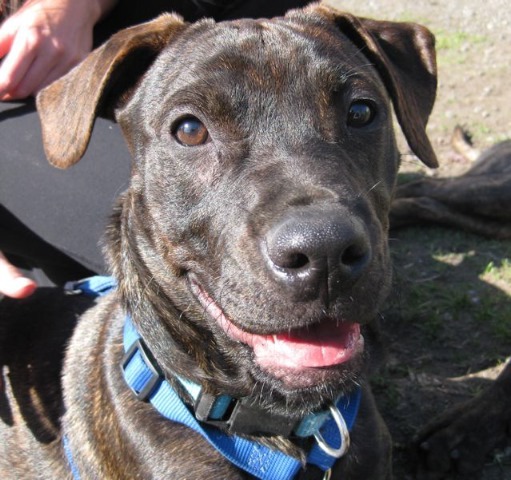 “It is illegal to dump any domestic animal in the wild, including parks and neighborhoods. Rabbits are domestic animals and fall under this regulation,” Brennan explained. Rabbit Haven volunteers also offer temporary shelter for rabbits owned by servicemen and -women while they are serving in Iraq and Afghanistan, knowing they will one day get to reunite bunny and family. Brennan tells the story of one soldier returning from his tour in Iraq whose bunny was so happy to see him that the rabbit literally jumped into the soldier’s arms. 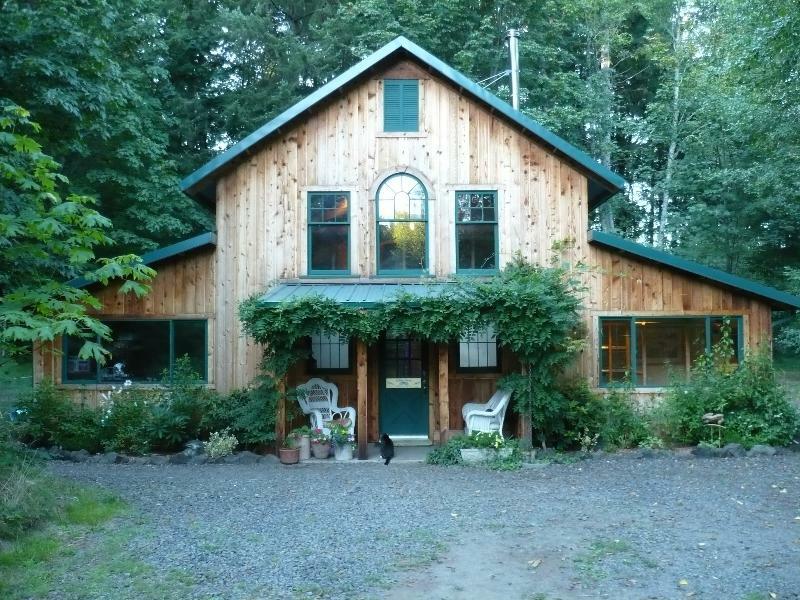 When you walk into the Rabbit Haven barn, one gets the impression of a comfy, mountain cabin right in the middle of the woods. A cute, red, wood-burning stove heats the recently constructed building, and the marble floor feels solid under your feet in the entryway. This place is not an animal shelter; it is a temporary home for bunny rabbits, and it feels like that, too. Brennan, a contractor by trade, has a practical sense of what makes up a good bunny barn. 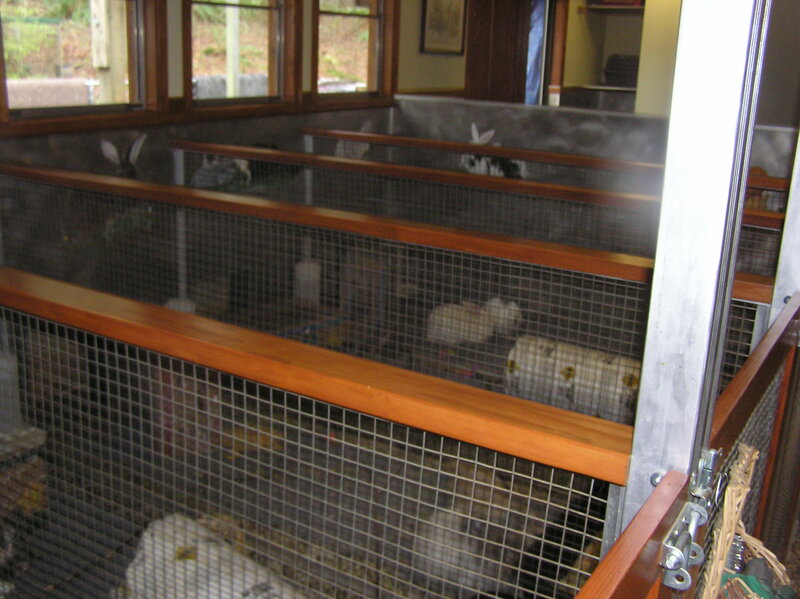 Each of the roomy rabbit pens houses two or three rabbits, and the walls are lined with shiny aluminum for easy cleaning. Yet, with the added touch of industrial materials, the Rabbit Haven barn is anything but stark. 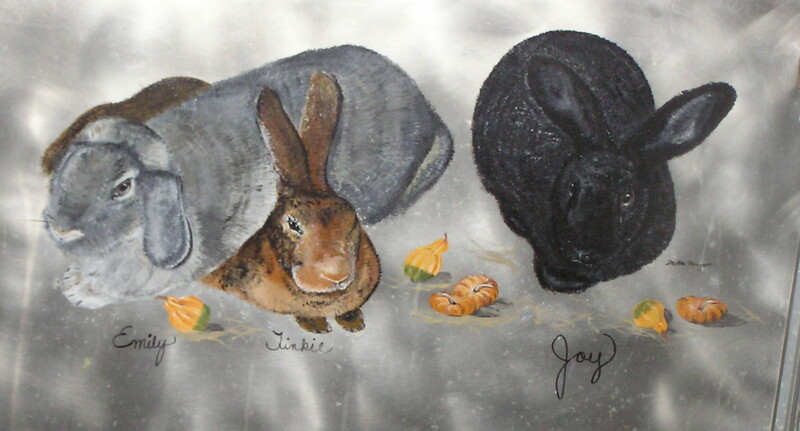 The aluminum-lined walls have been elegantly painted with bunny portraits. Brennan hopes that Rabbit Haven will serve as a reminder that bunnies need to be treated with care and respect, just like dogs, cats and horses. Pet bunnies are not to be left outside in the elements or abandoned when no longer wanted. Pet bunny rabbits are domesticated to be with humans, share in bunny companionship and live indoors. 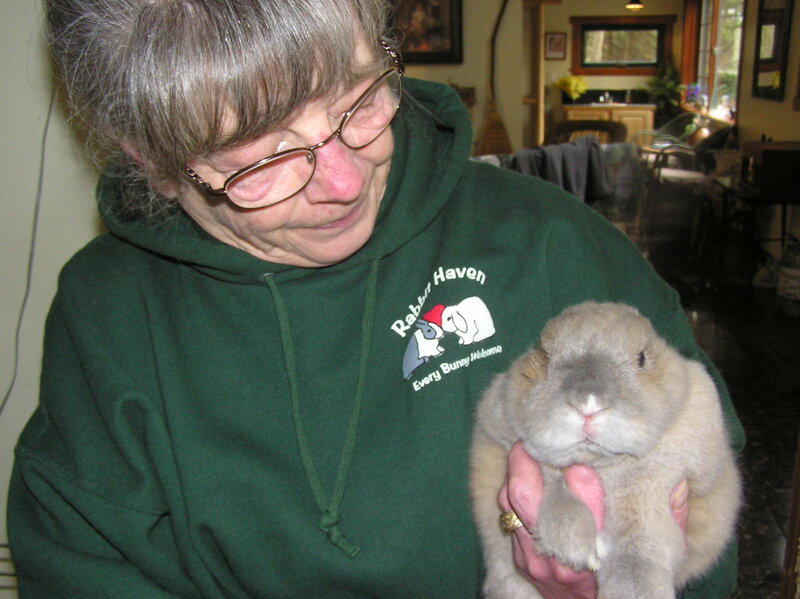 To learn more about Rabbit Haven, to donate or to adopt, visit rabbithaven.org. If you currently have a rabbit that needs appropriate care, visit the House Rabbit Society website at www.rabbit.org. Seattle Animal Shelter holds a special adoption day for rabbits and critters called Cool City Pets on the third Saturday of every month. Find out more at www.seattle.gov/animalshelter/adoption-events.htm. Richmond Councillors ban pet stores sales of dogs !!! Yes, really! I can hardly believe it myself…. We did it and you did it! Tonight, Richmond City Councillors unanimously voted to amend the business license bylaw to effectively ban the sale of dogs in Richmond pet stores! Tonight, we celebrate, because in the days and weeks ahead, a few less animals will suffer for pet stores’ profit! There will be some additional work in the days ahead regarding implementation of the changed bylaw. The amendment will require a 1st, 2nd and 3rd reading before council and some public consultation for implementation. Thank you everyone for all your hard work! 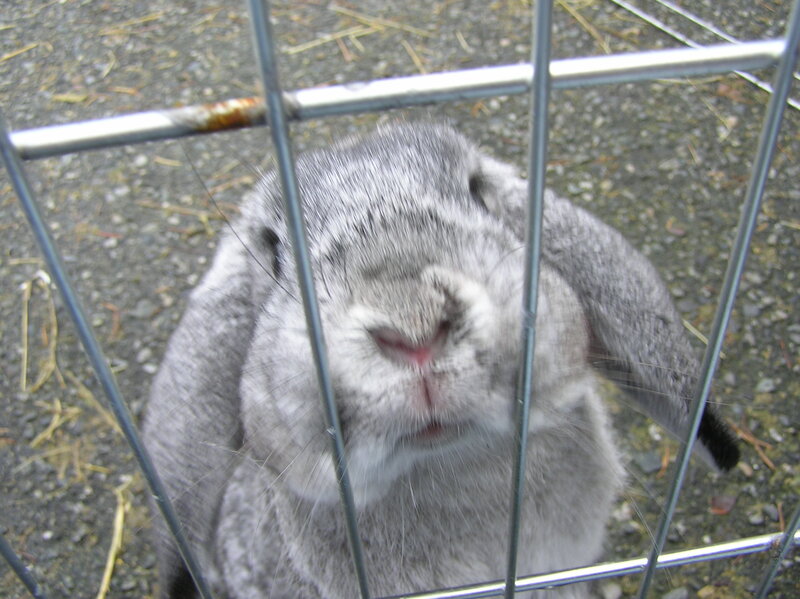 Victoria, BC catching up with bunny bylaw, other cities close behind! Victoria, BC, after years to controversy over the ubiquitous ‘UVic’ rabbits are finally catching up with Richmond and New Westminster to ban the sale of unsterilized rabbits in pet stores. See the Vancouver Sun. 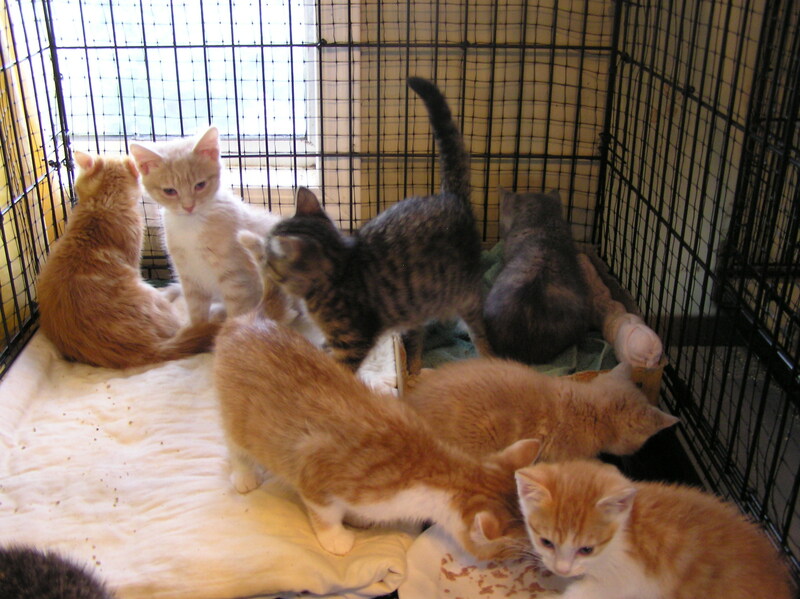 Luckily, while they are working on the bylaw, city councilors are looking at further animal welfare laws, including mandatory spay/neuter for cats, and other bylaws to protect animals. 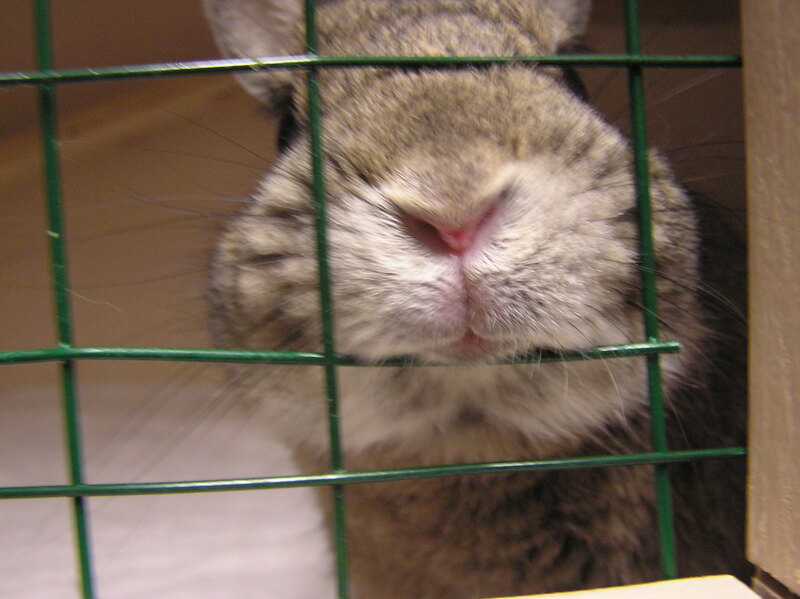 (Photo: Jeanie the rabbit at the Richmond Animal Shelter). 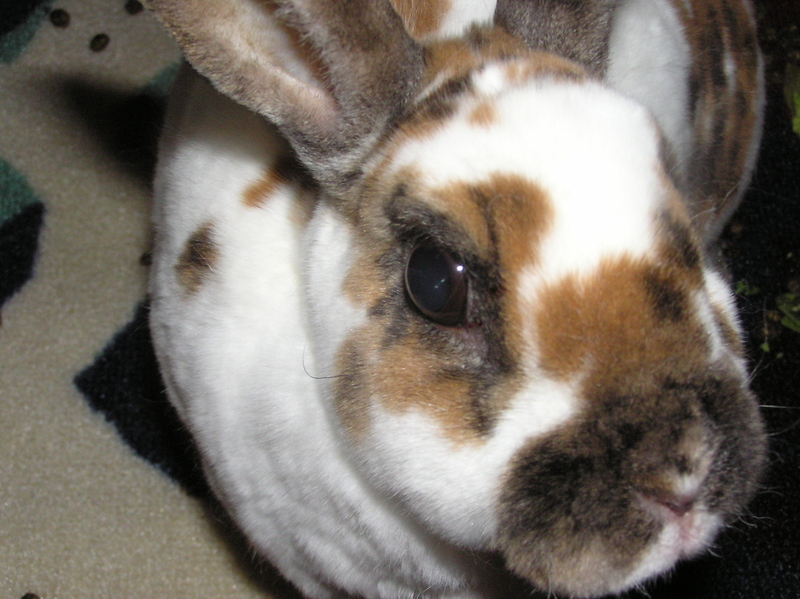 New Westminster, BC (the Royal City) has taken steps to ban the sale of rabbits in pet stores. Check out this article in the The Record. (Photo: ‘Wednesday’ the rabbit). I never miss an opportunity to talk to my friend Helen at the Richmond Animal Shelter. During her days work, she encounters the best and the worst of animal owners. This is one of her tales. It was Tuesday afternoon, and Helen called me quite furious. She has just received a call from a person who had purchased two rabbits — a male and a female — from a Richmond pet store. The pair of rabbits proceeded to have lots of babies in less than 4 months, and the owners told Helen “these are not an easy pets!”. The caller was careful to say that he had purchased the rabbits before the ban on the sale of rabbits, and that he had called the pet store and they refused to take the rabbits back. Instead, this pet store told the rabbit owner to call the Richmond Animal Protection Society to surrender the rabbits. Naturally, Helen was upset. Helen and I, along with many other advocates had argued for the City of Richmond to ban the sale of rabbit because people kept buying them and either abandoning them to the park or surrendering them to the city shelter. Pet store owners argued that they would “help out” people who wanted to give back their pets, but it now appears that was a disingenuous statement. Instead, the pet store manager suggested they dump the rabbits at the local animal shelter. Helen confronted the store manager on this issue, and the manager claimed they couldn’t sell the rabbits and so they couldn’t take them back. “Well it’s a good thing we made you stop selling rabbits, isn’t it!” stated Helen. The pet store manager had no reply. It is, indeed, a good thing we banned rabbits, because now there are eight more rabbits homeless because of pet store sales in Richmond. What did they think was going to happen when you sell a coupled pair of rabbits? I hope those little rabbits find good homes.